Do you really want a dog or do you just think you would like one? A dog is a huge responsibility and commitment. Many people buy a dog and then find that they can’t cope physically or financially. Far too many dogs are surrendered to the overflowing rescues centres. Dogs need more than a roof over their head and food. 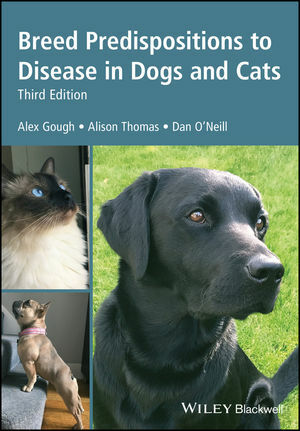 They need exercise, training, grooming, human and canine company, love, and care when they are ill. They are expensive to keep and vet bills/insurance are costly. If you are out at work all day, you need to think about how to arrange for dog walking and social interaction during the daytime. If you like holidaying abroad, you will need to include the cost of kennelling your dog while you are away. Think carefully about whether you want a puppy or an adult dog. Puppies make a lot of mess and need a great deal of attention and training. Many breeders have adult dogs which they want to sell on, and there will be many adult dogs available in rescue centres which will make wonderful pets. Decide whether you want a mixed breed dog or purebred, bearing in mind that on the whole mixed breed dogs are genetically healthier and will cost less in veterinary bills. On the other hand, a purebred dog is more predictable in terms of size, character and temperament. Do as much research as possible on your chosen breed. Even breeds without extreme physical characteristics will be prone to genetic diseases (some breeds more serious than others). Consult your local veterinary practice about breed related health, lifestyle needs and temperament issues. Read the relevant breed club’s website for information, but note that these will vary in quality and detail about health issues. It’s very important to choose a dog to suit your lifestyle. Some dogs are less suited to town life or homes without gardens. No dog should be left alone all day or without human contact. All dogs need love, exercise, training, and mental stimulation. Bear in mind that you will have a ‘duty of care’ for your dog under the Animal Welfare Act. On animal welfare grounds, think carefully before choosing a giant breed as these have shorter life spans, are prone to cancer, heart problems and other health issues due to their extreme size. They are also very expensive to keep and care for. Similarly, avoid miniature or ‘handbag’ breeds of dog which are prone to poor teeth, fragile bones and hydrocephalus (water on the brain). Also on welfare grounds, avoid breeds which have disproportionately short legs (dwarfism), excessive folds of skin (uncomfortable for the dog and prone to infection), long ears (painful if stepped on), too much hair (uncomfortable for the dog and difficult to groom), droopy eyelids (which become sore and weepy), disproportionately long backs (prone to disc problems), or very large heads. Avoid dog breeds that have flat faces (brachycephalic). These dogs can have difficulty breathing, overheat easily, and often have soft palate issues which may require corrective surgery. All of these characteristics prevent a dog from enjoying a good quality of life. You are strongly advised to buy from a breeder who uses (or is prepared to use) the Puppy Contract and Puppy Information Pack (PIP) which may be downloaded at www.puppycontract.org.uk Make sure that it is the contract produced by the RSPCA and British Veterinary Association Animal Welfare Foundation (BVA AWF), rather than a contract which the breeder may have produced herself or is linked to the Kennel Club’s Assured Breeders Scheme. 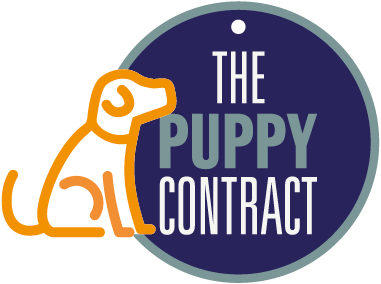 Buy your dog or puppy from a breeder who is a member of a breed club and who registers all of her puppies with the Kennel Club. This is not a guarantee of good health (far from it) but if you have a cause for complaint, the breed club and Kennel Club can be informed. In the case of a cross breed these should ideally be registered with a relevant club such as the Cockapoo Club of GB. Never buy a puppy from a pet shop or by meeting someone at a motorway services station. Be extremely cautious about buying through an internet or local paper advertisement because this avenue of marketing is a favoured outlet of puppy farmers. Ask to see the five generation pedigree certificate of the dog before agreeing to purchase. If the same name appears more than once on the pedigree it is a sign of a high level of inbreeding (see ‘A Beginners Guide to COI‘) Ask the breeder for the coefficient of inbreeding (COI) of the puppies. Check that the breeder has done all of the available health screening on the parents of your puppy (or adult dog) and ask to see the relevant documentation to prove that both parents of your puppy are healthy and fit to breed. It is advisable to see this paper work before going to see the puppies. It is so easy to let your heart rule your head once you have seen a puppy. If a breeder has not carried out all the available health tests (there may be good reasons) ask her to explain why. It is essential that you see the puppies interacting with their mother and in a home environment where they have had a chance to be properly socialised with humans and other animals. Never accept a puppy which has been taken from its mother at less than eight weeks old. The breeder must also show that the mother’s comfort and welfare is paramount. Ideally you should meet your puppy’s father as well to make sure that his temperament (as well as the mother’s) is sound. Note that in larger scale breeding establishments adult dogs will be accustomed to kennels and mothers would find it stressful to be brought into the house for whelping. However, the pups should have interaction with humans several times a day from birth and at about five weeks be brought into the house for a couple of hours on a regular basis. A good breeder will also make use of CDs of everyday sounds so that pups are accustomed to a variety of household sounds from a very early age. Expect the breeder to ask you many questions. She needs to know if yours would be an appropriate home for one of her pups. If she doesn’t ask questions about your home and lifestyle, she is not a responsible and caring breeder. A good breeder will offer to give whatever support you may need in future. She will offer to take the puppy back no matter what the issue and be prepared to re-home any dog at any age that she has bred. Ask what the breeder’s policy is on health problems that may arise in a puppy soon after purchase, or genetic problems that may arise much later. A good breeder will ask to be kept informed of all relevant health issues and will take these into account in future breeding plans. Check if the puppies come with free temporary pet insurance. Owning and caring for a dog is one of the most joyful and rewarding experiences you can have. Making the right choice in the first place will ensure that it is.